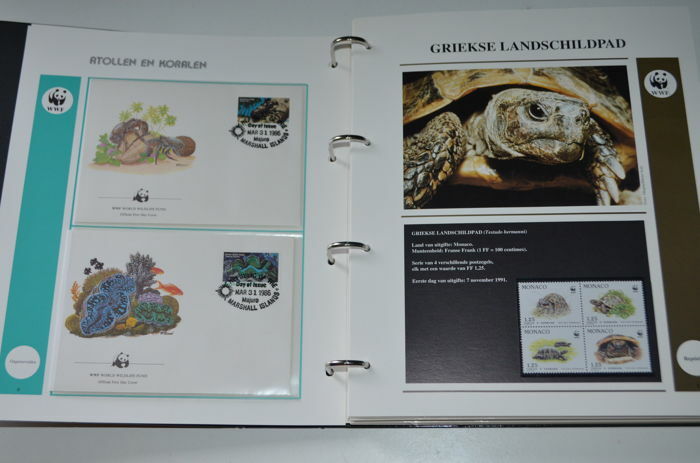 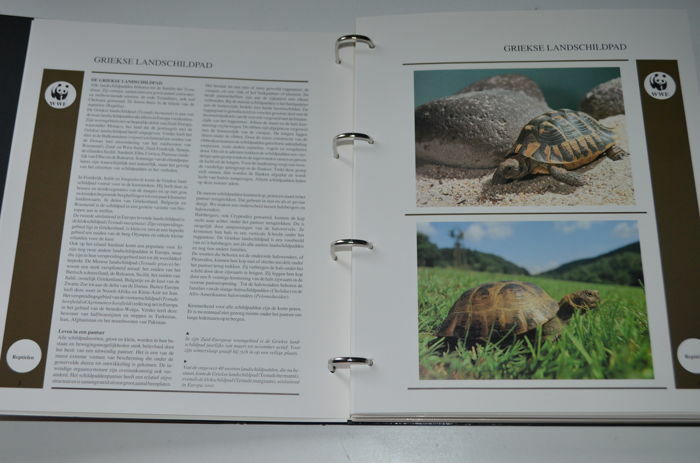 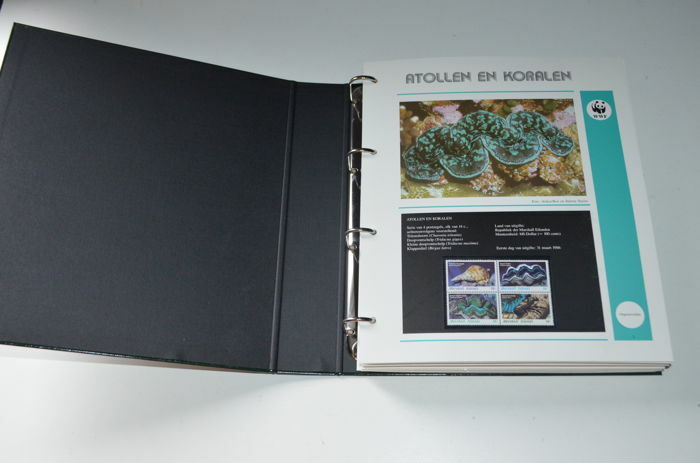 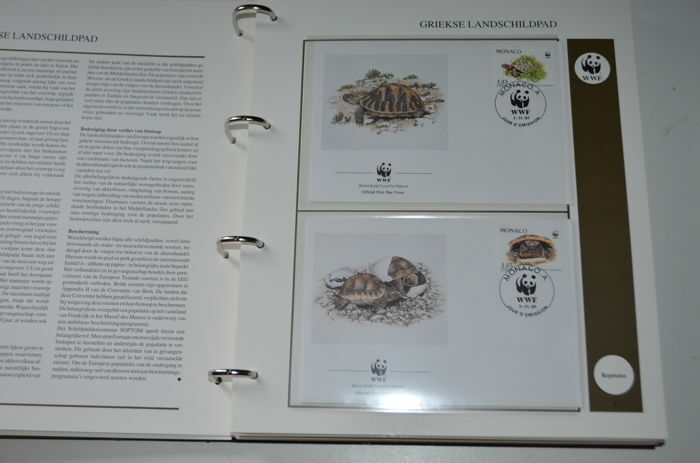 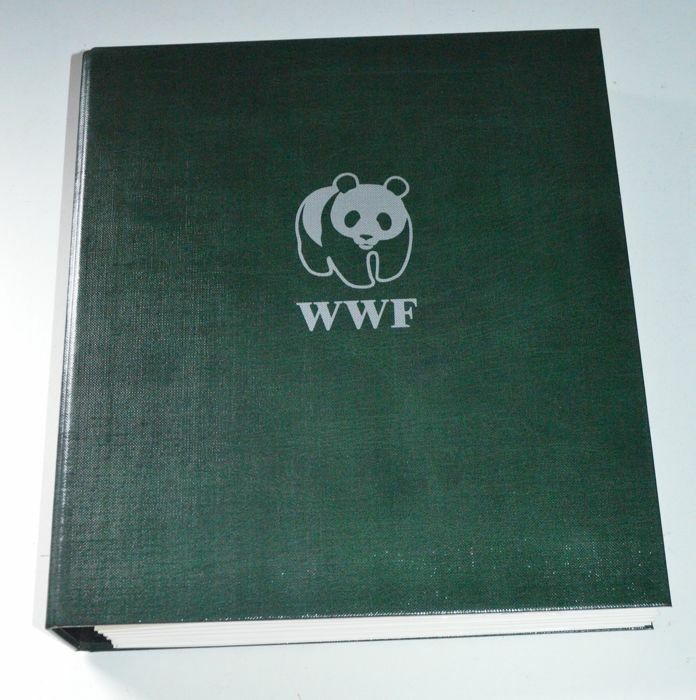 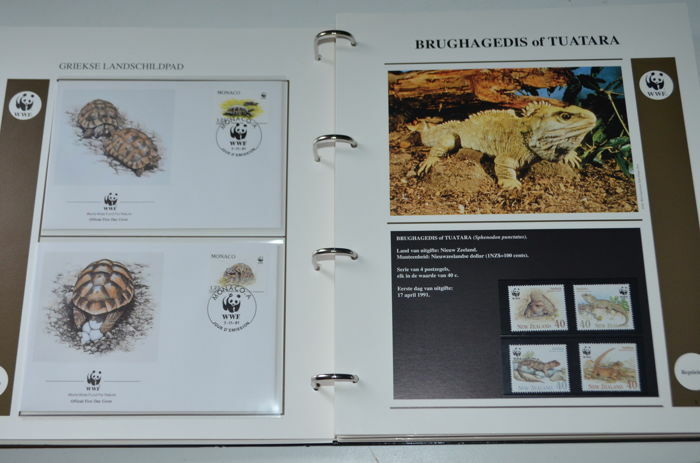 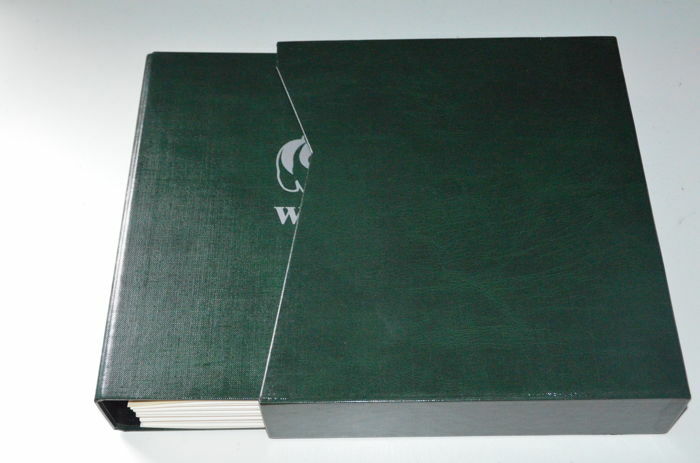 The large WWF album "Bedreigde Dieren" (Endangered animals), published by De Draak. 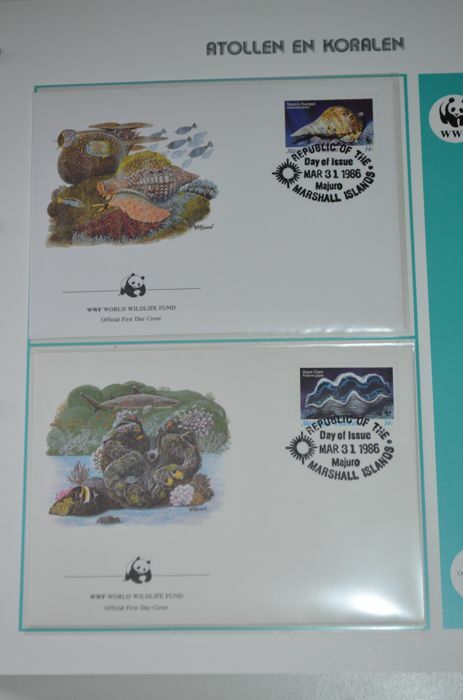 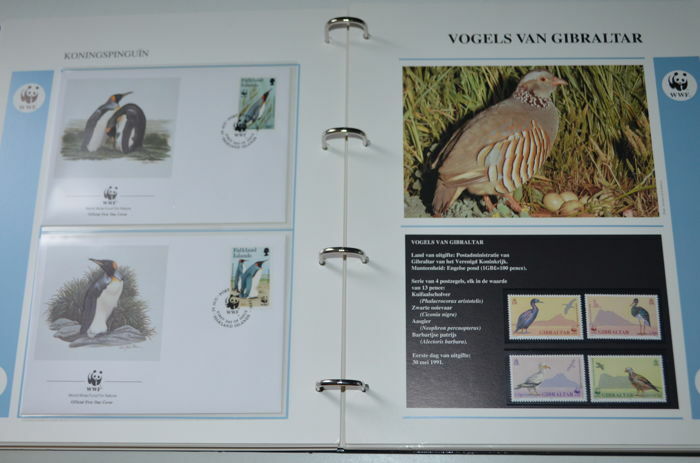 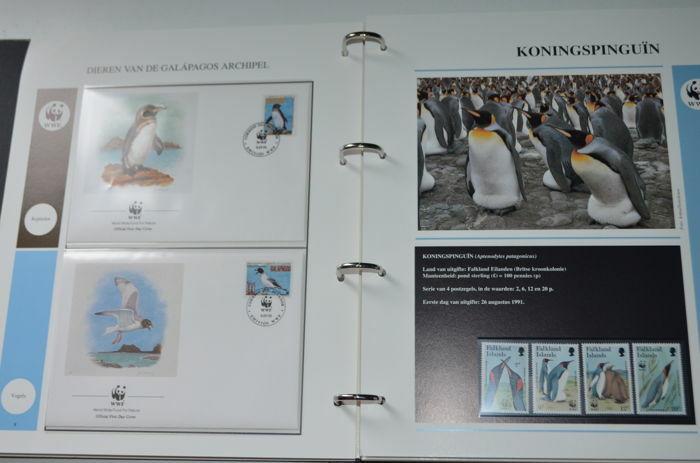 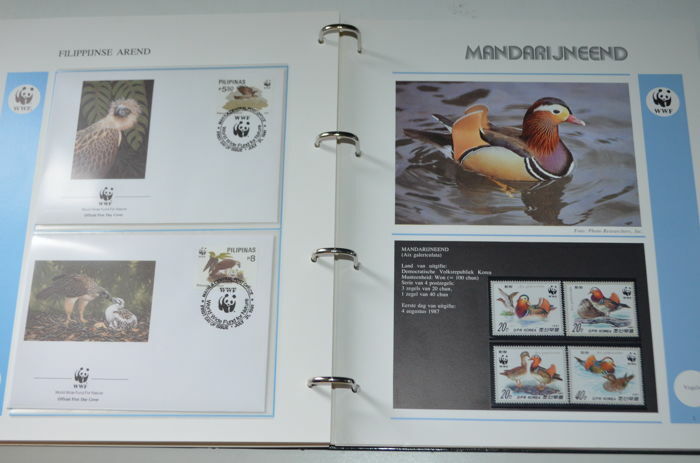 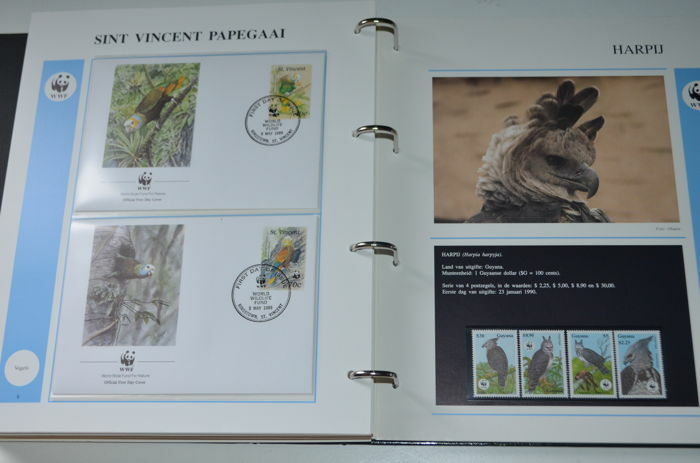 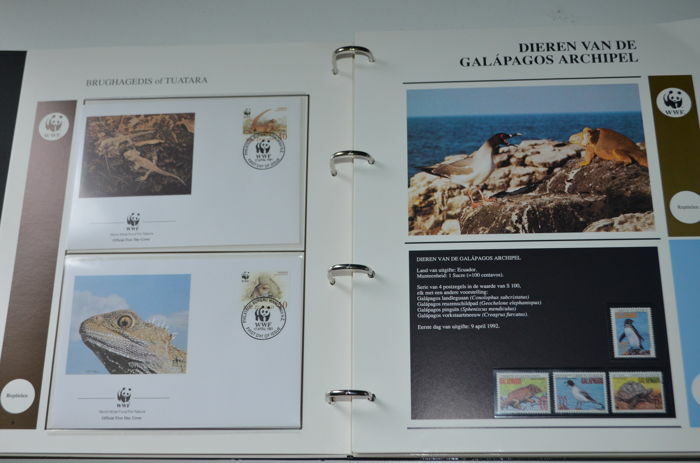 Folder filled with stamps and first day covers with images of endangered animals and information on these animal species. 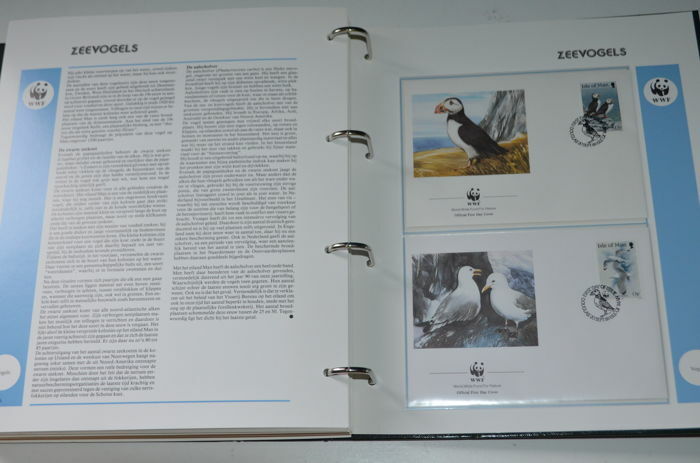 There are 12 animal species in the folder. 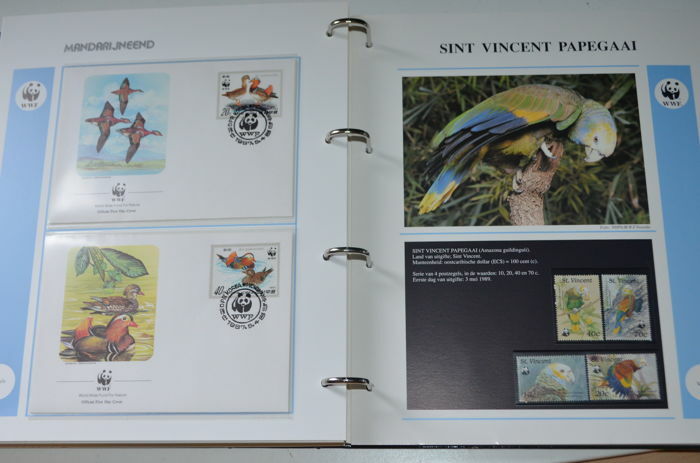 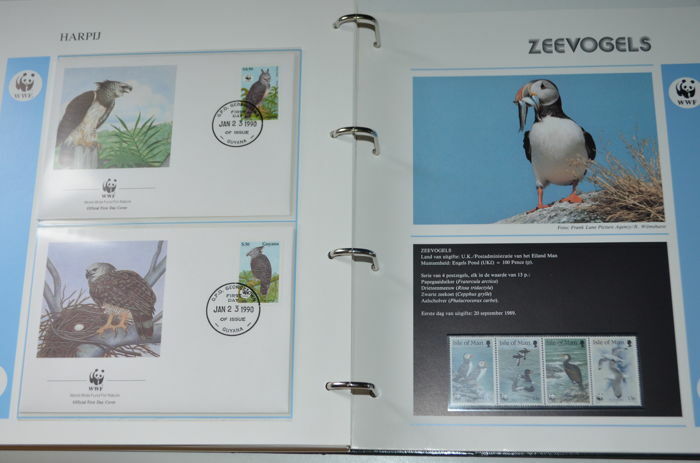 Four stamps and four first day covers for each animal species. 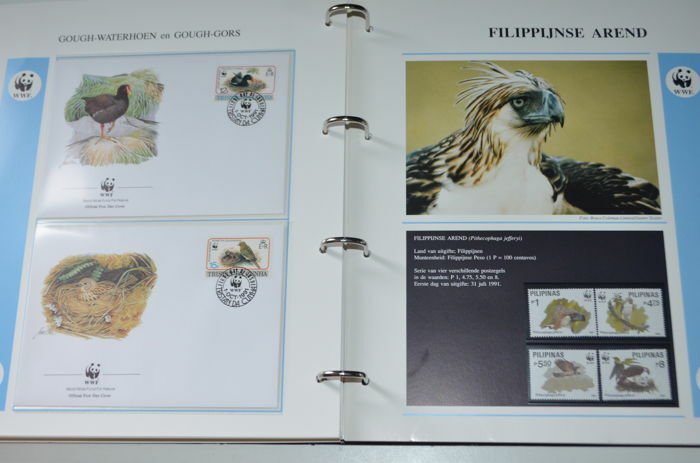 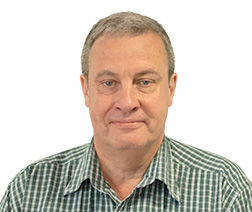 Registered shipping. 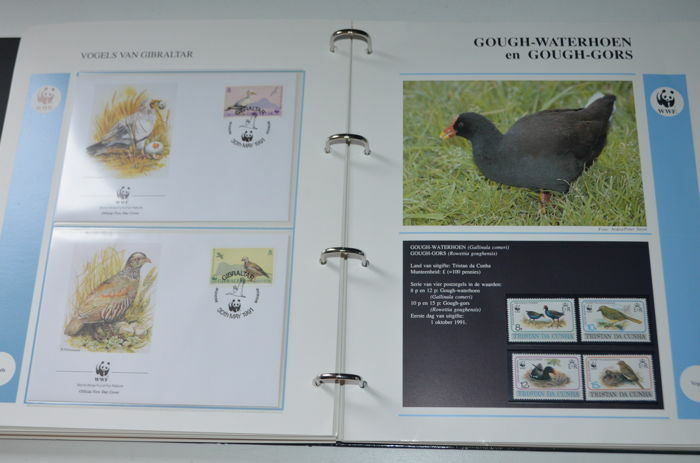 You are also welcome to come and collect the lot you have won from our showroom in Klaaswaal, the Netherlands.